Danny Gregory and his wife, Patti, hadn't been married long. Their baby, Jack, was ten months old; life was pretty swell. And then Patti fell under a subway train and was paralyzed from the waist down. Danny Gregory is the author of Creative License, Hello World: A Life in Ham Radio and Change Your Underwear Twice a Week: Lessons From the Golden Age of Classroom Filmstrips, which was named one of Amazon's top 10 humor books of 2004. 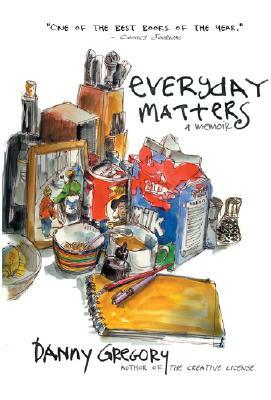 His weblog, Everyday Matters, is visited regularly by tens of thousands of creative aspirants form around the world. He is an award-winning copywriter and creative director who has created global advertising campaigns for clients like American Express, IBM, Ford Motor Company, Burger King, Chase, and AT&T. He was born in London, grew up in Pakistan, Australia and Israel, is a graduate of Princeton University and lives in Greenwich Village with his wife and son.